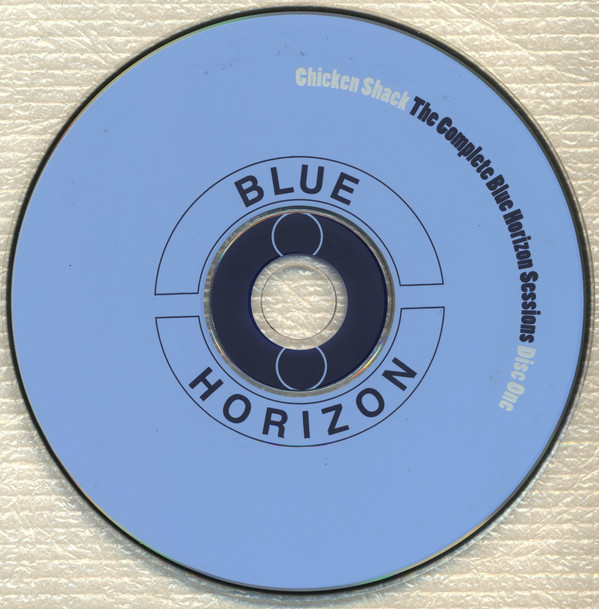 Chicken Shack were one of the more unsung names of the mid/late-sixties British blues rock boom. They were formed by guitarist/vocalist Stan Webb and also featured future Fleetwood Mac member Christine Perfect (McVie). This lengthy compilation (over three hours of playing time) covers their entire output on the Blue Horizon label from 1967-1969. It has been remastered to a spectacularly high standard and although Chicken Shack will probably always be thought of as a second division blues rock band behind the many obvious better-known and more successful ones, there is some impressive material on here. Christine Perfect's smoky, sultry voice is excellent on many of the songs, such as "It's Ok With Me Baby". Webb's guitar playing is certainly impressive, and although some find his voice less than perfect, to coin a relevant phrase, for me it is fine. The band never made it big commercially, Christine Perfect released some good stuff between 1969 and 1971 (also collected on another solid Blue Horizon compilation) and then the rest for her became one heck of a history. Incidentally "I'd Rather Go Blind" from her debut solo album is included here as opposed to on her solo compilation. There are fifty-six songs on here. For individual albums, I usually cover the songs track by track but there are just too many here, and many in the same style too. You can put any of these tracks on for half an hour and enjoy them, or put it on random play. Wha you will get is solid, guitar-driven slow blues rock like "The Letter" and guitar and horn-powered faster material such as the pounding "Lonesome Whistle Blues". 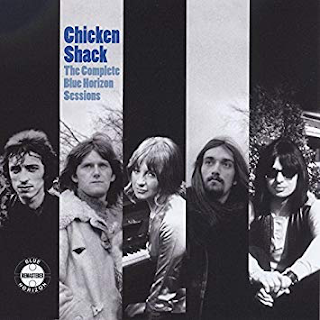 Chicken Shack's use of horns is something slightly unique to them (Zoot Money's band used saxophones) and Christine Perfect played a good blues piano. Check out "When The Train Comes Back" as a good example of Chicken Shack's slow blues sound, or "See See Baby" for a more upbeat, brassy one. "First Time I Met The Blues" is excellent as well, with a wonderful deep bass sound and some killer guitar, although Webb's voice at times leaves a little to be desired. Just listen to that throbbing bass on "What You Did Last Night" and the sumptuous horns on "Night Life" too. I need to reiterate again that the sound on this collection is absolutely superb. I would recommend this is you are into classic British sixties blues rock and also if you want to trace Christine McVie's early career.